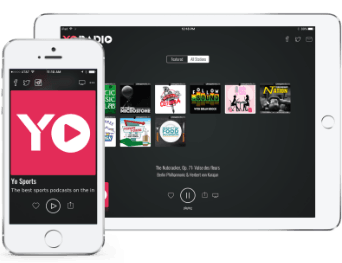 Yo Radio is the most advanced, user-driven streaming radio service on the market! Everything you would expect and more from the most full-featured platforms ever developed. Listen to music, podcasts, sports, news, talk and more – 24 hours a day, 7 days a week – and always 100% free! 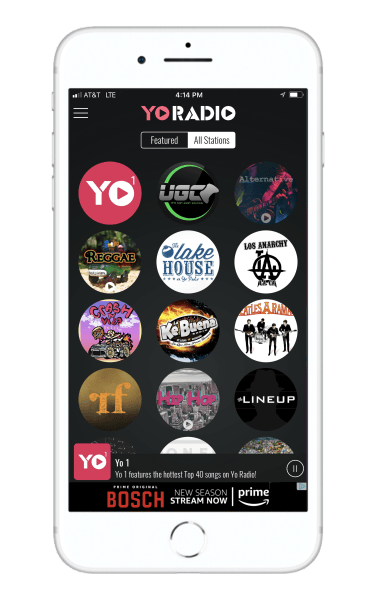 Yo Radio was designed to provide the most diverse catalog of streaming radio available today, featuring endless genres of music, podcasts, sports, news and more! Download the Yo Radio app for your Apple or Android device or stream directly at YoRadio.com using your smartphone, computer or tablet. Whether you're listening to music, sports, talk or news, all of Yo Radio's station have one thing in common: they're always free! We want everyone to enjoy Yo Radio's premium streaming content. Use the share functions in the app to invite your friends and family to join the Yo Radio family! Have a question? Just ask! Leave us a comment with your question and we'll answer just as soon as we can.